You would think that bicycle racing, with its athletic drama including scandals, larger-than-life personalities, high technology, and photogenic settings would be the ideal cloth for movies. Oddly, fictionalized cycling cinema has never caught on except for perhaps “Breaking Away”, which is only peripherally about cycling, and “American Flyers”, which is maybe not so good. 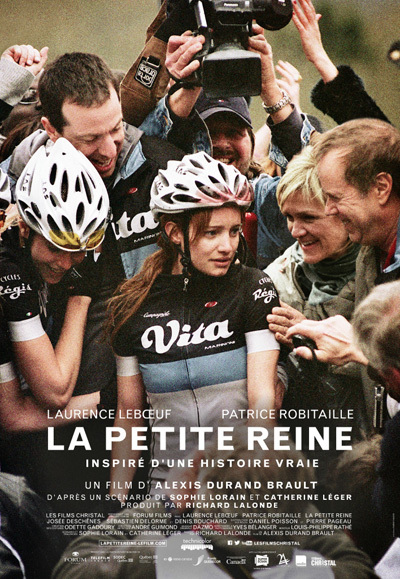 In 2014 Québec filmmakers came up with “La Petite Reine”, and it is a shame it did not get wider notice in the film and cycling worlds. 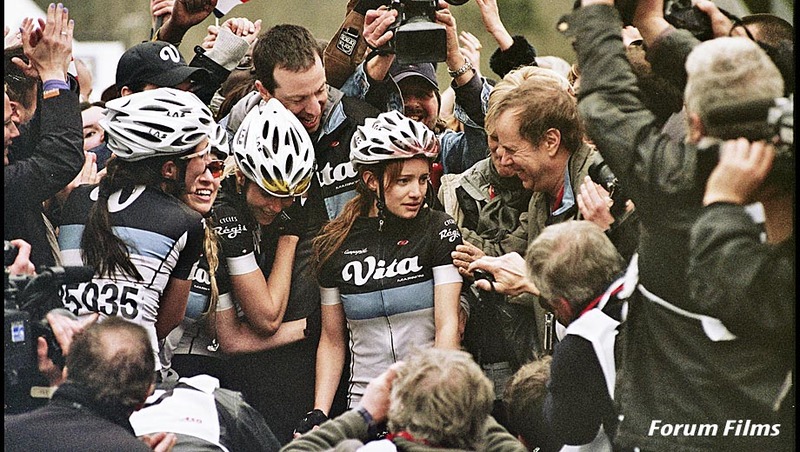 “La Petite Reine: Downfall of a Champion” is a fictionalized story based on the life Geneviève Jeanson, a young Canadian cyclist who exploded onto the pro scene in 1999, winning both the UCI women's junior time trial and road championships in Italy. In 2000 she won the women's version of La Flèche Wallonne and the Tour de Snowy and continued to add to her palmarès. Jeanson held numerous national titles. However, at the UCI World Championships in Hamilton, Ontario in 2003 she was prevented from competing due to elevated blood haemocrit levels but continued to race professionally subsequently until 2005 when she was suspended after admitting to doping for her entire career. Jeanson received a 10 year ban after cooperating with doping authorities; her coach and doctor both received lifetime bans. La petite reine - Bande annonce from Forum Films on Vimeo. Although at first it looks normal, one comes to see it is a strange world indeed. Julie still lives at home with her parents, who are clearly bursting with pride at their daughter's accomplishments. They are supportive of the coach, and the coach's nice wife makes an appearance as well. There is a sports doctor to visit and an enthusiastic sponsor who keeps the money flowing. Julie herself is ambitious and very attractive; she is an effective representative for the sponsor, speaking at a school and awards events. There is a strong team to support her. Soon it is apparent that everything is not what it seems to be. Julie wins a big race in Montreal but is having doubts as the anti-doping net begins to tighten. When her doctor begins to sing to authorities, her coach denies everything and tells Julie to do the same. Her parents are worried but are happy to close their eyes and be reassured by the coach and their daughter. Unable now to get a license in Quèbec from provincial officials who are very suspicious, Julie returns with her coach to Arizona and gets a racing license in the United States. Now we get a better look at the relationship between Julie and JP and it is a very ugly one. The coach puts enormous pressure on his star and, amazingly, she goes along with his abusive behaviour. 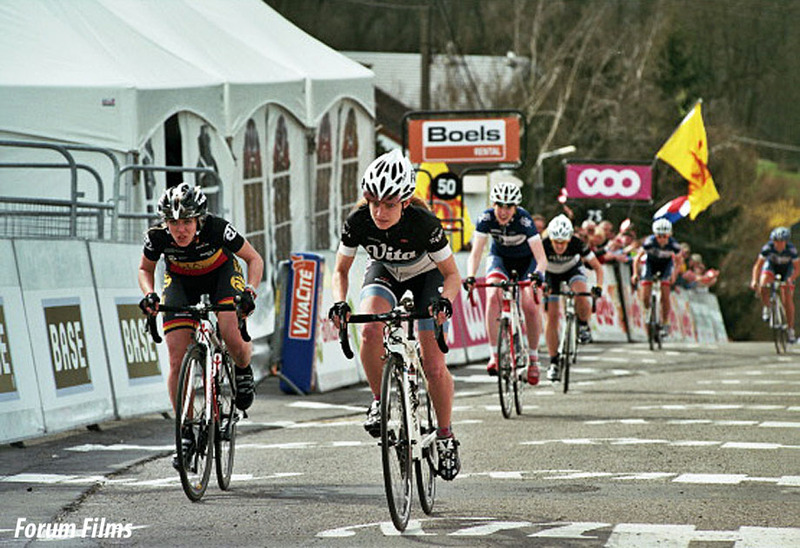 The team goes to Belgium for a big World Cup race—the Flèche Wallonne Féminine. Julie has stopped doping and her relationship with JP and the team deteriorates further. Unable to keep up on the Mur de Huy during practice, JP threatens to demote her from captain but Julie, in a final burst of defiance, goes on to win the race but it is part of a gesture that is totally unexpected to her teammates, coach and parents. The film ends with Julie back in the United States, working in a restaurant, and looking at peace. “La Petite Reine” is in French with English subtitles. In an eight-week run in Québec it earned a modest $750,000. Nonetheless, it is worth seeing for the issues it raises not only for cycling but sports in general. We are not talking simply about doping--we have seen more and more cases brought into the daylight of coaches' inappropriate behaviour with young female athletes. “La Petite Reine” (which translates to “the Little Queen” and is actually a French nickname for a racing bicycle) is a sympathetic portrait of someone whose life is out of control. Julie knows that what she is doing is cheating but since the age of 16 she has been under the direction of others to the point of losing her free will. She loves the racing and the winning and the attention and is loathe to lose it all until pushed too hard at the end. She has nothing else, having begun racing at 16 and dropped out of school to pursue the sport. Laurence Leboeuf's portrayal of a young woman trapped by lies is spot-on. The actress, who was 29 when the film was made, is able to convince us of the character's childishness and growing fragility. Leboeuf learned to ride a racing bicycle for the role and looks believable on the road as well as off the bicycle. The racing sequences, in Montreal and especially in Belgium, are nicely crafted. In fact, the Flèche Wallonne racing scenes may be among the best done for a dramatic movie. Available on DVD—easy to find! You can buy “La Petite Reine: Downfall of a Champion” from AMAZON.COM. When not dreaming of going cycling with Laurence Leboeuf along the banks of the St. Laurent on his own Marinoni, Leslie Reissner may be found being photogenic yet fragile at www.tindonkey.com.